Alongside the trio of new iPhone designs revealed by Apple last night, the firm updated its smartwatch. 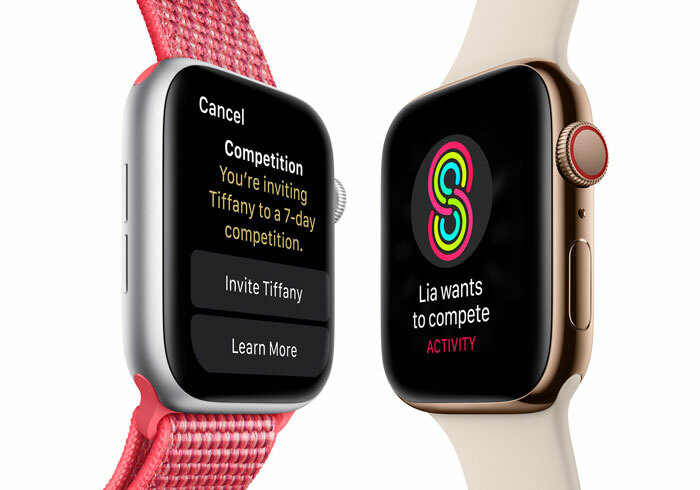 The Apple Watch Series 4 was shown on stage and appears to deliver a number of worthwhile updates to the wearable gadget. Highlights of the new timepiece are its significantly larger screen options, twice-as-fast processor, new sensors, and watchOS 5. Apple's Watch Series 4 wearables now boast the largest screens ever. The UI has been optimised for the larger 40- and 44mm OLED displays. Greater screen area allows for app icons and fonts that are bigger and easier to read, while 'complications' have been "beautifully enhanced to be more precise and informative," says Apple. Nicely the screen curves match the watch chassis curves. Overall users get a viewing and interactive area that is up to 30 per cent larger thanks to the bigger screens and narrower device borders. As well as the touch screen, the other important way to interact with your watch is via the Digital Crown and side button. Apple says it has "totally re‑engineered," this method of interacting with haptic feedback now providing a click-like feel as you scroll. Furthermore, Apple has added a titanium electrode built into the top allows you to use the ECG app simply by touching it with your finger. Inside there is a next-generation S4 chip with a custom 64-bit dual-core processor, delivering twice the speed while maintaining the same all-day battery life, according to Apple's own testing. Apple's Watch Series 4 built-in speaker is now 50 per cent louder, optimized for phone calls, Siri and Walkie-Talkie, and the microphone has been relocated, to reduce echo for better sound quality. One other good design change is Apple's construction of the watch back from black ceramic and sapphire crystal, allowing radio waves to easily pass through the front and back for better cellular service. Health and activity functionality are usually important to new and existing smartwatch customers. Apple has expanded the capabilities of the Watch 4 significantly with a new set of sensors. In addition to the original optical heart sensor there is a new electrical heart sensor (made up of an electrode in the Digital Crown and electrodes on the back crystal). 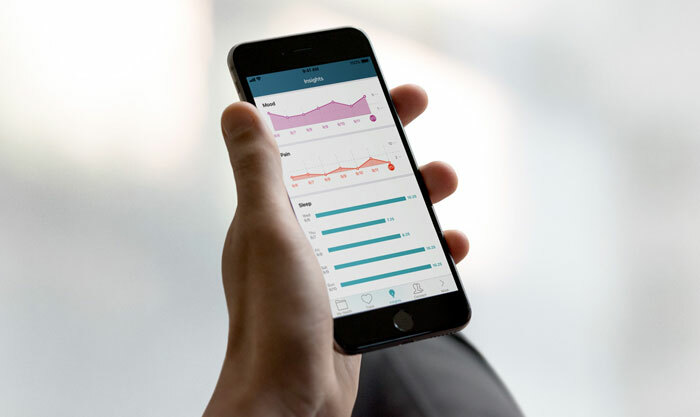 Touching the Digital Crown will provide an ECG waveform in just 30 seconds, and this can help you and/or your doctor check for signs of atrial fibrillation or sinus rhythm. An ECG app will launch later this year to make use of this feature. Additionally you have the data from the optical heart sensor plus new accelerometer and gyroscope which can detect the wearer has fallen and emit an emergency SoS. Various tailored software makes use of the sensors to provide workout trackers, calorie trackers, timers, coaching motivation, relaxation, and more. All the new features and sensors have no ill effects on battery life, claims Apple. The Watch Series 4 is still good for 18 hours of everyday use or workout tracking for a solid six hours. Here in the UK the new Apple Watch is available to pre-order from tomorrow, with availability / shipping starting a week later (21st Sept). The cheapest GPS version costs from £399 and the GPS plus Celluar version from £499. 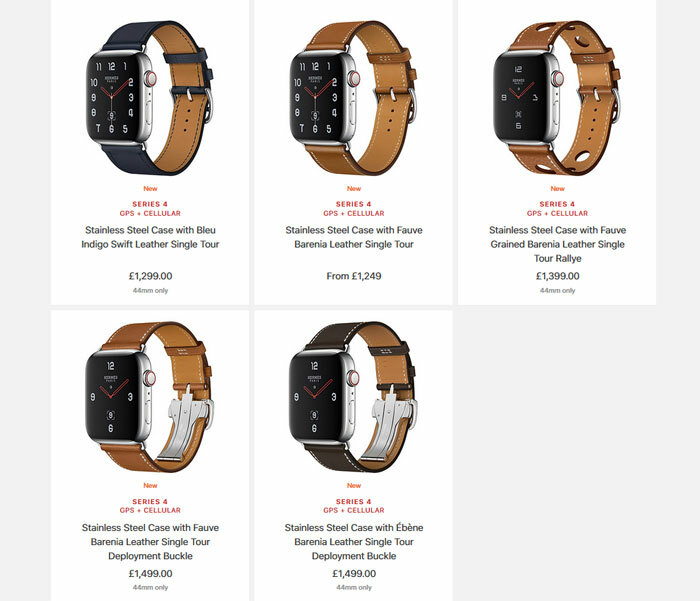 You can easily spend much more (up to £1,499) depending upon what case materials and strap options you choose. 18 hours is so appalling piss poor for anything that calls itself a “watch”. Oh, and I am DREADING the ECG app. We have enough people attending the ED because their fitbit said their heart rate was low. An ECG done like this is going to have massive impedance issues, loads of baseline sway, loads of muscle tremor and provide all of one lead… so it'll be filtered to hell and back and you're quite possibly going to lose P waves because you've got loads of filtering on a poor signal with a wobbly baseline from a lead which isn't great for P waves anyway (Lead I) which is going to look like atrial fibrillation or maybe a junctional rhythm to the untrained eye. I LOVE how it says it can show you low heart rates and atrial fibrillation… you know what else can do that? Taking your pulse. Interpreting it any further is well beyond the layperson and also the data quality is going to be such that it'll be too unreliable for a professional. If you think your heart rate is slow, take your pulse. If you think you have atrial fibrillation, take your pulse. If either of these are abnormal (slow or irregularly irregular), go to your doctor who will request a 12 lead ECG done with proper electrodes and laid in the correct position to get a decent trace. They will likely also request a 24 hour ECG which uses 3 leads, positioned where muscle tremor isn't an issue (NOT the ends of the arms whilst applying pressure!) and after prepping the skin to ensure low impedance and less baseline sway. Even with all of this it requires a specialist with years of training and experience to look through the recording and distinguishing artefact from real arrhythmia can be a real challenge.